The term climate change is used to refer to changes in the Earth's climate. Generally, this is taken to regard changes in temperature, by monitoring averages, extremes, durations, and geographic coverages. "Climate change" can include "natural" changes but the primary concern and focus is on human activities that are contributing to global warming. "When scientists talk about the issue of climate change, their concern is about global warming caused by human activities." "When the year began with a two-foot snowfall in Los Angeles, the cause was global warming. "When 124-mile-an-hour winds shut down nuclear plants in Scandinavia and cut power to hundreds of thousands of people in Ireland and the United Kingdom, the driver was global warming. "When a severe drought in the Midwest dropped water levels in the Missouri River to their lowest on record earlier this summer, the reason was global warming. Note: "worst drought since 1988". "In July, when the worst drought on record triggered wildfires in Spain and Portugal and left water levels in France at their lowest in 30 years, the explanation was global warming. "Spain also is suffering from its worst drought since officials began keeping records in the late 1940s." "When a lethal heat wave in Arizona kept temperatures above 110 degrees and killed more than 20 people in one week, the culprit was global warming. "And when the Indian city of Bombay (Mumbai) received 37 inches of rain in one day -- killing 1,000 people and disrupting the lives of 20 million others -- the villain was global warming." 135 daily rainfall records were broken along the U.S. East Coast in September 2010 (Wilmington, N.C.: 19.7 inches over three days). 2010 beat 1998 as the hottest year on record, with 153 of the 1,218 U.S. weather stations recording their hottest summer since 1895. 2000–09 was the warmest decade on record. In August 2010, an ice island four times the size of Manhattan (260 sq km) broke off from a Greenland glacier. Moscow suffered a once-in-centuries heat wave, doubling average death rates to 700 people a day. One-fifth of Pakistan flooded, affecting 20 million people and killing nearly 2,000. Climate scientists have long resisted wholly attributing weather events to climate change, but have developed a technique called “fractional risk attribution” to calculate how many times an extreme event should have occurred absent human interference. The technique uses mathematical models of how the atmosphere would behave before human activity raised carbon dioxide levels to 389 parts per million (it was 278 before the Industrial Revolution), plus data about ancient (“paleo”) climates and historical (more recent) weather. Climate scientists led by Peter Stott of the British Met Office analyzed the 2003 European heat wave, the highest temperatures for the area since the introduction of weather instruments (1851), and concluded that human activity could be attributed to 75 percent of the heat wave. Put another way, they estimated that human activity more than doubled the chance that it would happen, and found it was twice as likely to be human-caused than natural. 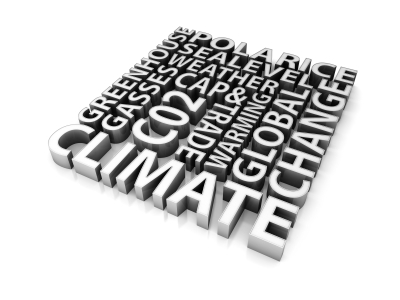 The links below present differing opinions regarding the extent and existence of various causes for climate change. Katharine M. Willett, Nathan P. Gillett, Philip D. Jones & Peter W. Thorne, "Attribution of observed surface humidity changes to human influence" Nature, Oct. 11, 2007. ("We identify a significant global-scale increase in surface specific humidity that is attributable mainly to human influence" (p. 710)). ↑ 2.0 2.1 Sharon Begley, "A Climate Whodunit: Science nails the blame game" Newsweek, Nov. 27, 2010. "Drought monitoring and early warning: concepts, progress and future challenges: Weather and climate information for sustainable agricultural development," World Meteorological Organization, ISBN 92-63-11006-9, 2006. This page was last edited on 27 September 2017, at 23:05.